This week's giveaway comes to us courtesy of TALLYGEAR and RED BENCH DESIGNS! 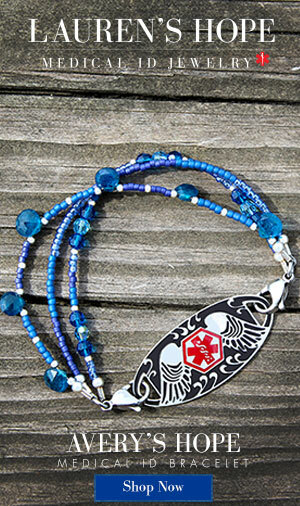 The first item this week is a Jack's Joy necklace from Red Bench Designs. Cindy Schneider is the owner of Red Bench Designs and the creator of all this beautiful jewelry! Cindy started making jewelry after the birth of her first child, Jack. The Jack's Joy collection was created after Jack was diagnosed with Type 1 Diabetes in 2008. 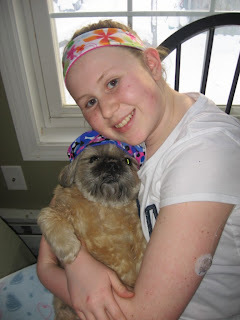 "April 1, 2008 is a day I will never forget. 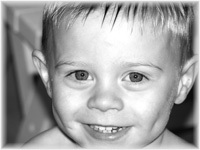 This was the day our three year old son, Jack, was diagnosed with Juvenile Diabetes. In a heartbeat, my adorable, fun-loving, active little boy’s life changed forever. Our carefree, perfect world had been turned upside down. Our days and nights now include up to 10 finger pokes to monitor blood sugar levels for highs and lows, scheduled snacks and meals, and insulin shots with every meal he eats. 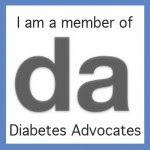 So, as a Mom of a young diabetic, I have joined with thousands of other Mothers who have made finding a cure their mission in life. The best way to discover a cure is to ensure that there continues to be adequate funding for research. In honor of Jack and the thousands of children living with Juvenile Diabetes, $10 of all sales of "Jack's Joy" pieces will go directly to the Juvenile Diabetes Research Foundation. Through it all, Jack has been the sunshine, hope and joy for all of us - always finding the bright spot on the darkest of days with hardly a complaint, and never a fuss – teaching us all to find joy in the unexpected. Jack will always be my adorable, fun-loving, active little guy, and although our life might not be quite as carefree, it is simply perfect." I love the message of the Jack's Joy collection - and I LOVE the beautiful jewelry that Cindy has created! She is giving away a Jack's Joy necklace to this week's winner! Also - TODAY ONLY (Monday, Nov. 21, 2011) - Cindy is offering 10% off all purchasesin her etsy shop! 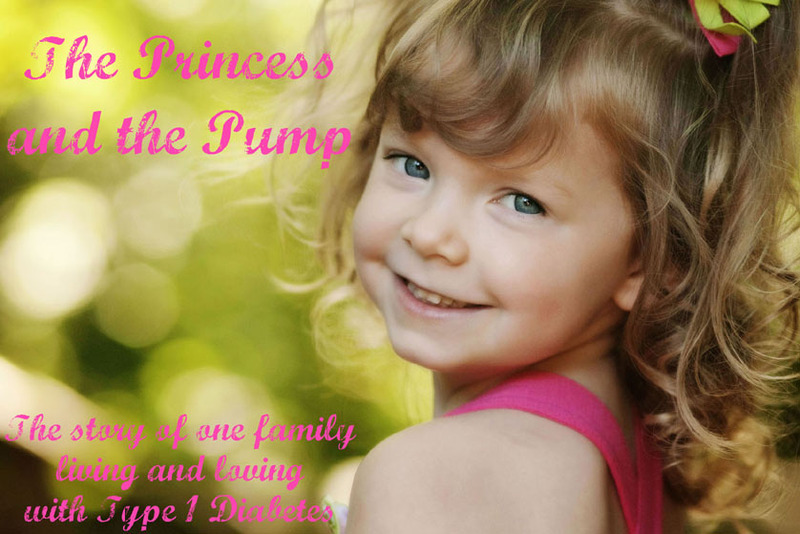 Just click HERE and use the code PRINCESSANDTHEPUMP! What a wonderful idea for some special people (YOU?!?) on your Christmas list! The second and third items come from Tallygear! Donna Annese is the creator of Tallygear! "In 2007, our daughter Tally (a.k.a. 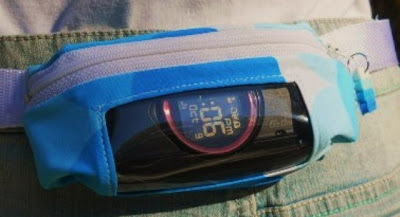 tallygear) was diagnosed with juvenile diabetes (Type 1). Within 1 year she was using an insulin pump 24 hours a day. Tally is a very active child and the standard packs she used weren't right for her. Within a month, we realized we needed to design something that worked better for her lifestyle. After many many months, and many yards of fabric and hundreds of belts tallygear was born in November 2008. Although the Tallygear Tummietote belt was designed specifically for the comfortable storage of an insulin pump, we quickly realized the belt can be used for so much more. In fact, an insulin pump is the exact same size as a cellphone or portable music player. Tally now carries her insulin pump, cellphone and usually gum, starbursts or skittles with her at all times - the Tummietote belt has 3 pockets. Our wish to you or your child is to make wearing an insulin pump or any other personal item more comfortable and secure. 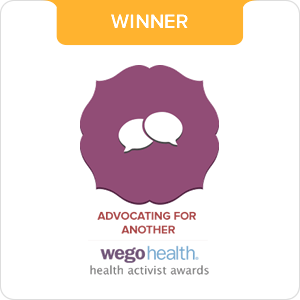 We began with the the idea to create a product to make wearing an insulin pump more comfortable every single day. We think we've done that. We hope you enjoy the same freedom and peace of mind that we have. For our daughter Tally, we wish that your life will always be full of sunshine." Donna is giving away TWO incredible Tallygear products! 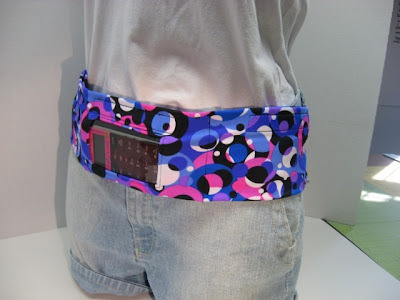 The Tummietote belt is a lightweight soft sided small personal item storage belt. The Tummietote can be used to carry many small items securely and discreetly. Tummietote is made from the highest quality spandex/nylon fabric. The belt has three (3) storage pockets with heavy duty velcro closures. lt also has a six inch adjustable heavy duty velcro waist closure and it is 3 inches wide.. The tummietote belt is also offered with a clear view vinyl window so that you can view your tech device without ever taking it out of the pocket, saves time and is less of a hassle when you are pressed for time. Adjustments to your insulin pump can be made directly through the heavy duty double polished pliable vinyl window. Also the Dexcom can be monitored directly through the double polished clear view window. This micro expandable pack comes with a standard 1 1/2" width x 3" length heavy duty pliable clear view window. Which makes it very easy to view your tech device while on the go. - 85 % Spandex / Lycra 15 % Nylon Material - super soft stretch fabric. - Coordinating colored 6" inch nylon zipper. You can hold lots of small items close and secure to your body. - Very discreet expandable small pack...to hold all your basics close at hand. - Great for all your activities -running-walking-basketball-soccer-baseball-shopping-concerts or out on the town. - Very minimal movement or bounce when using. - All come with zipper pull for easy opening. I will choose THREE WINNERS this week! You do not need to tell me which prize you'd like. I will pick at random. Pick one will receive the Jack's Joy Necklace. Pick two will receive the original Tummietote. Pick three will win the new Tinytote Micro Waist Pack. If, for some reason, you win but are not interested in the item you won - you can decline and I will pick another winner. 1. 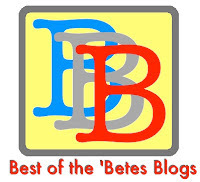 Leave me a comment before midnight (EST) Thursday, November 24, 2011. Include your first name (comments left with out a name will be eliminated). - No duplicate comments are allowed and will be eliminated. - Winners will be selected via random draw at http://www.random.org/. - After a winner is named and posted, the winner will have 48 hours to send a message to me at theprincessandthepump@gmail.com. If I do not hear from the winner within 48 hours, I will select a new winner. You have the best giveaways! Pick us! Pick us! Oh, those are awesome prizes! Count us in! Oh, and I "liked" Tallygear on Facebook! We love our tallygear (but can always use another one), and the jewellery is beautiful... what a great give-away! Great post and great giveaways!!!! Ooooo, very nice giveaways. I love them all! That is the exact tallygear I've been thinking about getting! The other prizes look great too. I also "liked" tally gear on facebook. I liked Tallygear on Facebook. I followed Tallygear on Twitter. Very cute! Count us in. Sherry (mom, T1 8/1980) and Emily (T1, 10/2011). FB the blog and contest! OH MY I am sooo excited!!! This is another great giveaway! I love love love that necklace, I've had it on my Pinterest page for awhile now! I also like the tally gear bags, I might look into getting one even if I don't win! WOO HOO I made it :) I'm entered to win!! I've always wanted a tallygear belt! hope I win! I am especially interested in the necklace. I would love to win something. Another great give away! Would love to win! Just got our first tummytote and are LOVING it! Yay for another awesome giveaway!! Sign me up! Diabetes has not been easier for us lately either. Waiting for the better days to come. I would love to win one of these prizes!! I liked tallygear on fb! I also liked red bench designs. And I already like you on fb! Redbench Designs and Tallygear - WINNERS! Lauren's Hope and Designs by Janet D - WINNER!!! Stick Me Designs and Tips 4 Type 1 WINNER!!! !